That hardware fetish epitomises the heart and soul of this sequel, which hardly strays from the blueprint established by the original post-disaster co-op shooter. Kill rogue gang members to earn stronger guns, all the better to slay more powerful enemies. Rinse. Repeat. If inching your stats higher holds limited appeal amid an unmemorable storyline, perhaps you’ll enjoy the quirkily diverse range of gadgets. Auto-turrets, healing drones and enemy-immobilising sticky foam are just a few of the unlockable perks that lift TD2 out of its moribund loop. The level design sometimes produces moments of drama, setting up firefights in such unlikely arenas as the Senate chamber or a museum dedicated to the Vietnam War. You sense at these junctures that TD2 is trying to make a political point but pulls its punches when it comes to the crunch. That might be the game’s overarching theme, in fact. Things improve in the endgame scenario when a new faction emerges to shake you out of your complacency. 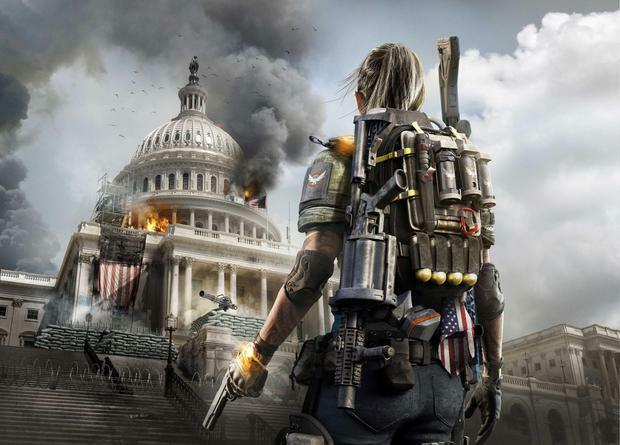 But there’s every chance you’ll have already concluded The Division 2 doesn’t fully add up. Assuming the role of the baddie always ends up more fun. AotE casts you as an alien matriarch fending off invading humans, giving licence to 1950s B-movie scenarios in which you terrorise, eat and annihilate a bumbling collection of earthlings. It plays out as a turn-based strategy game, rather like a cut-price XCOM. But unlike that tense classic, AotE reaches for laughs. The hapless humans rarely pose a threat as the matriarch spawns a veritable army of grunts to assist her assassinations. The hokey dialogue and cheesy set-ups have a limited charm too, but there’s a certain appeal in coordinating simultaneous kills across the sprawling levels. Sometimes it just feels good to be bad.